​​Travis Manion Foundation. AMSG is proud to be a supporter of the Travis Manion Foundation (TMF). The Travis Manion Foundation honors the fallen and assists our nation’s veterans and service members by supporting families of fallen heroes. The TMF has created an outreach program called Character Does Matter (CDM), empowering veterans and families of the fallen to deliver inspiring presentations to High Schools across the nation. AMSG personnel serve as ambassadors in this program, relating stories and inspiring young people to demonstrate character by exhibiting courage, integrity, leadership and service in their everyday lives. AMSG Supports the Travis Manion Foundation’s Alexandria 9/11 Heroes Run! ​ ​​Massaponax High School Athletic Programs. AMSG is also proud to be an active contributor to the Massaponax High School Athletic programs, particularly Boys and Girls Lacrosse. These programs foster a sense of pride in self and require active participation by student athletes in school and local service projects. AMSG believes that by contributing to these programs, it makes it possible for the school to provide proper equipment and expand participation by students who otherwise might not be able to participate. AMSG contributions are used to help reduce player fees and to cover costs of player and team equipment, transportation, officials and coaching staff. ​ ​​AMSG is a proud supporter of Turkeys for Troops! The USO of Metropolitan Washington established Turkeys for Troops in 2008 due to an increase in emergency food requests during the holiday season. AMSG contributions are used in the effort to assist the military’s junior enlisted by providing military families with traditional ingredients needed to prepare a Thanksgiving meal. These meal boxes are stocked with all the necessities for a holiday feast and a gift card to purchase a turkey at any local grocery store. 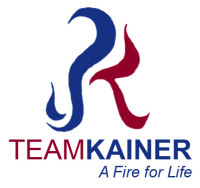 ​ ​​AMSG is a proud supporter of Team Kainer, a group of cyclists, runners, swimmers, and multi-sports enthusiasts from many professional backgrounds devoted to keeping John Kainer’s memory alive. John, a member of SEAL Team 6 - United States Naval Special Warfare Development Group (NSWDG), or DEVGRU, was diagnosed with brain cancer after having a seizure during a night parachute drop, was known for having a “fire for life.” Despite the diagnosis of brain cancer that ended his career as a Navy SEAL and ultimately took his life, he never let cancer slow him down. Whether in the ​SEAL teams, on a 100-mile bike ride or participating in an endurance event such as an Ironman triathlon, John’s approach to life allowed him to motivate others and overcome any and all obstacles including health concerns and the elements. All donations to Team Kainer go to the Navy SEAL Foundation. ​ ​​AMSG is a proud supporter of The Fisher House Foundation, a network of comfort homes where military families can stay at no cost while a loved one is hospitalized for an illness, disease or injury. These homes are located at major U.S. military and VA medical centers nationwide, close to the medical center or hospital it serves. 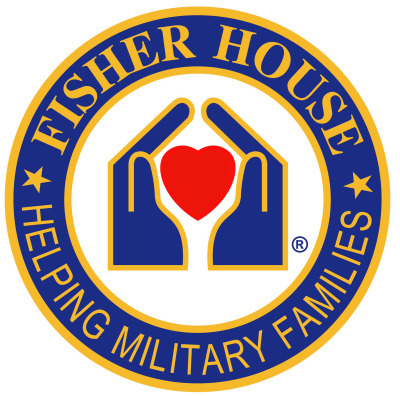 In addition to constructing new houses, Fisher House Foundation continues to support existing Fisher Houses and helps individual military families in need. They also administer and sponsor Scholarships for Military children, the Hero Miles program, and co-sponsor the Newman's Own Award. All donations are in support of these programs and keeping these homes running. 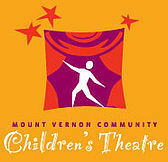 AMSG is proud to sponsor ArtSpireVa, a non-profit performing arts organization located in Northern Virginia. Through performance ArtSpireVa strives to inspire and uplift those who may be suffering due to illness, separation, abuse, or poverty. Through outreach programs, ArtSpireVa creates opportunities for youth to experience the arts on a consistent basis that otherwise would not have the chance due to financial burdens. ArtSpireVa provides meaningful volunteer opportunities to youth who have had experiences within the arts and gives them the capacity to share that experience with others who are less fortunate.